Who knew Yolanda was suffering so severely from being of victim of Munchausen society?! Reality Star Halloween 2017 – Luann de Lesseps Throws A Party, Erika Jayne Performs And More Hot Photos! The reality stars were out and about this weekend to celebrate Halloween 2017. The Real Housewives of New York star Luann de Lesseps co-hosted a costume bash in NYC with Dita Von Teese and RHOBH‘s Erika Jayne performed! It didn’t look like any of her RHONY co-stars attended, so we’re guessing it wasn’t filmed for the new season. Kim Kardashian attended the Casamigos Halloween party dressed as Cher, while Joanna Krupa went as Bad Girl Sandy from Grease. Also in our mini Halloween roundup: Paris Hilton, Rachel Zoe, Harry Hamlin and more! Between New York Fashion Week and the upcoming seasons of a few Housewives franchises, the reality stars are out and about more than ever this month! Real Housewives of Atlanta star Kenya Moore was spotted landing at the airport in L.A. this week and her co-stars (past and present) Kandi Burruss and Phaedra Parks were spotted out and about as well. At NYFW, we’ve seen Carole Radziwill, Dorinda Medley, Ramona Singer, Kristen Taekman and so many more! 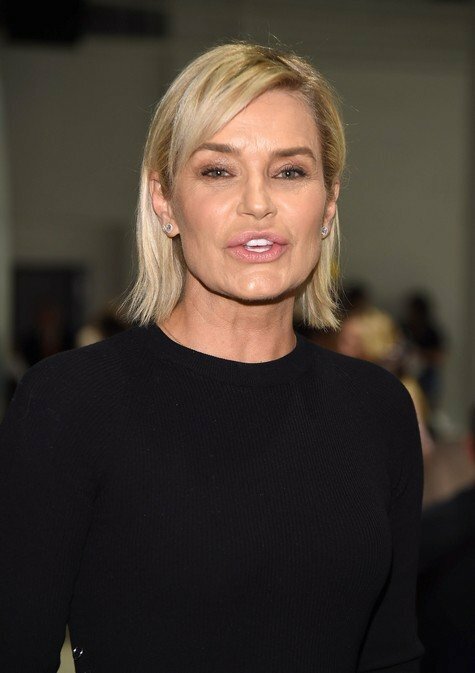 Check out these and other reality star photos in our gallery below – including Yolanda Hadid promoting her new book. And then weigh in – who is best dressed in this group? Former Real Housewives of Beverly Hills star Yolanda Hadid is out promoting her new book this week. Yolanda sat down with Good Morning America’s Robin Roberts to talk about her Lyme memoir, Believe Me. Yolanda gets candid about her suicidal thoughts as she battled Lyme disease, how her three kids, Bella, Gigi and Anwar, helped her through the journey and more.